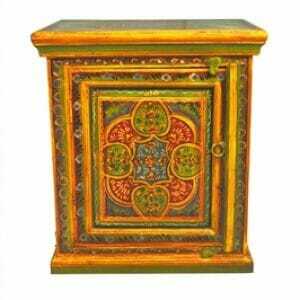 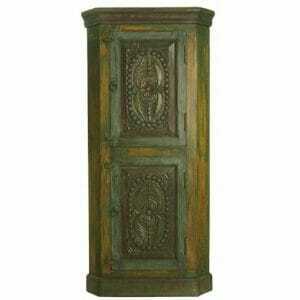 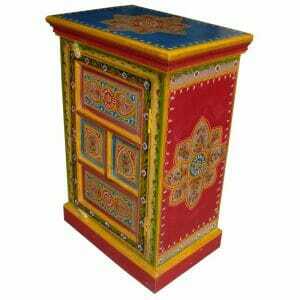 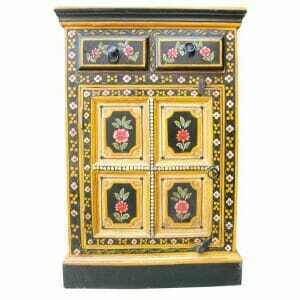 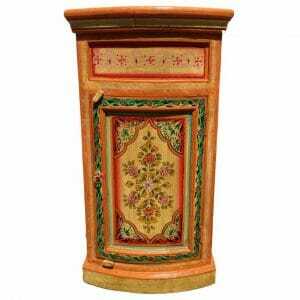 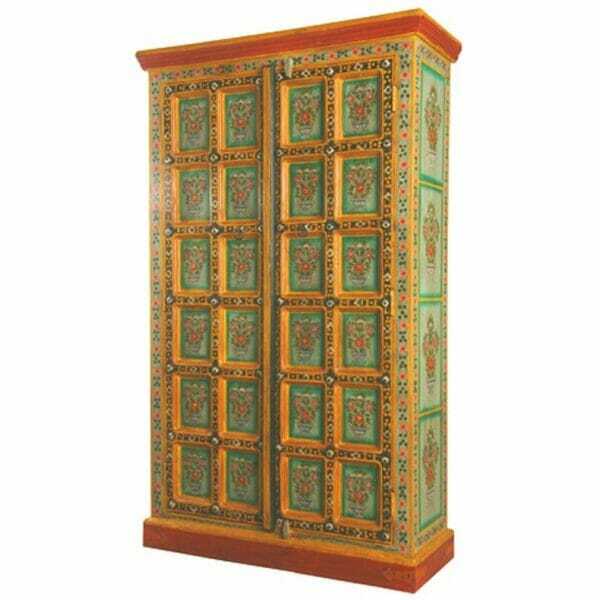 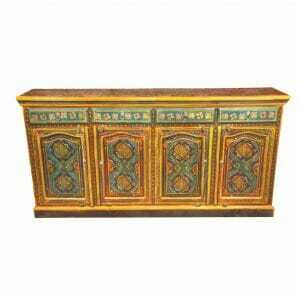 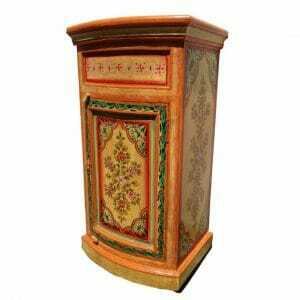 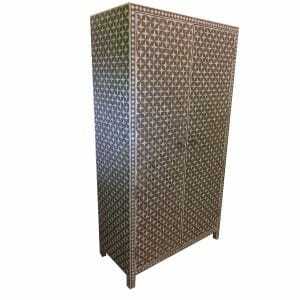 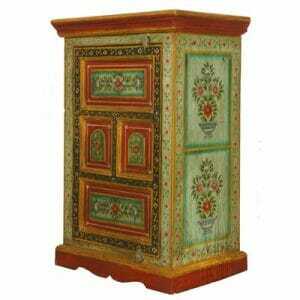 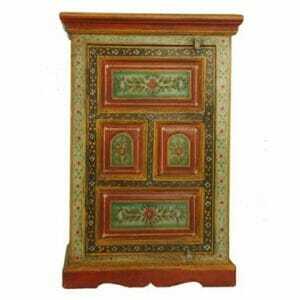 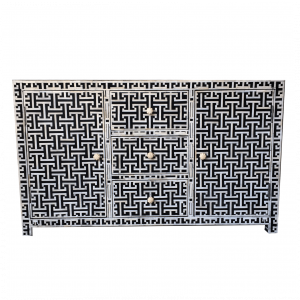 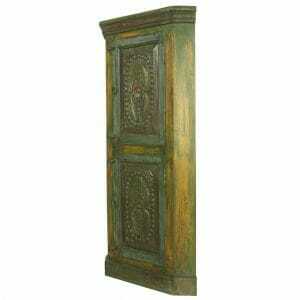 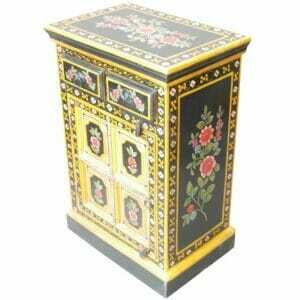 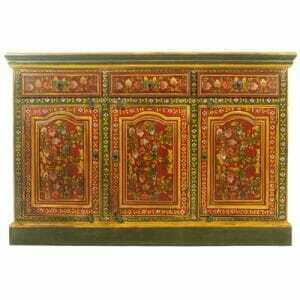 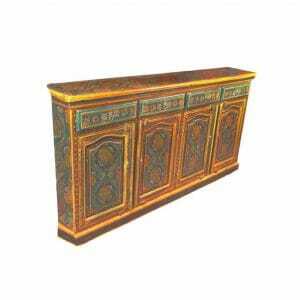 This vibrant vase design panel cupboard is richly evocative of Indian exoticism. 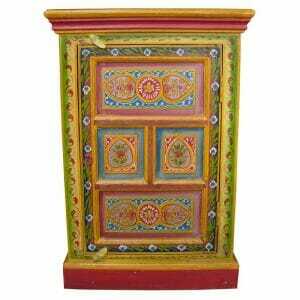 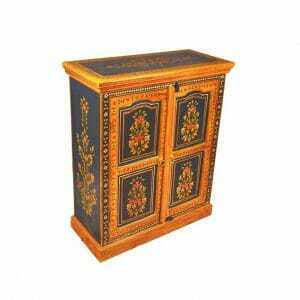 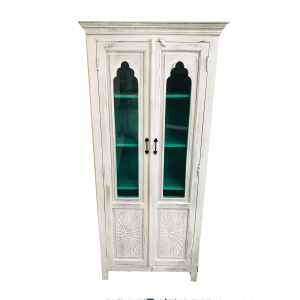 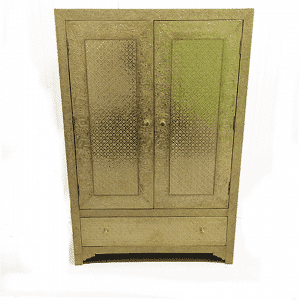 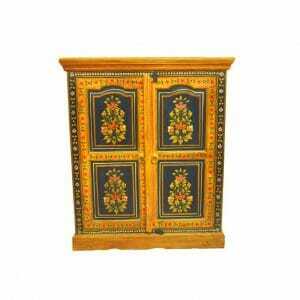 Hand-painted with floral details, vine motifs, and other intricate designs, this cupboard makes a luxurious and beautiful addition to any room.. 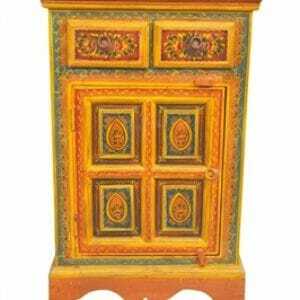 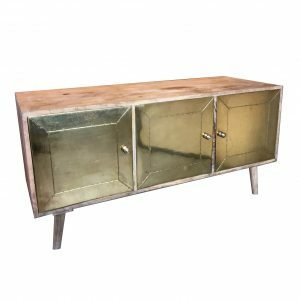 The interior three shelves provide ample storage for linens, clothing, dishes, or almost any other item, and the antique door pulls and distressed finish also give a wonderfully antique feel to the genuine mango and sheesham wood. 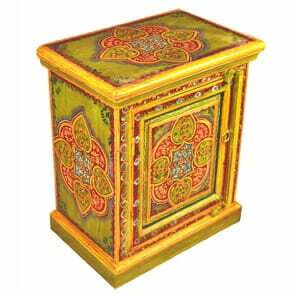 This item is hand-crafted in Rajasthan by our highly skilled woodworkers, many of whom come from generations of artisan craftsmen. 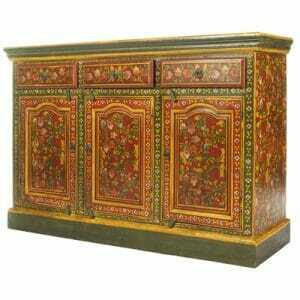 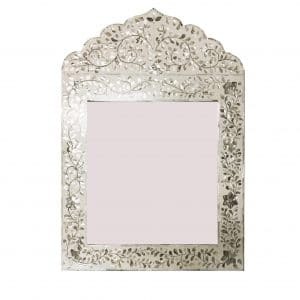 The techniques they use have been handed down for generations, which means that all of our furniture is authentically crafted in the same manner as the antique pieces that can be seen in the exquisite palaces of India. 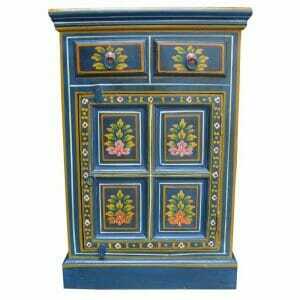 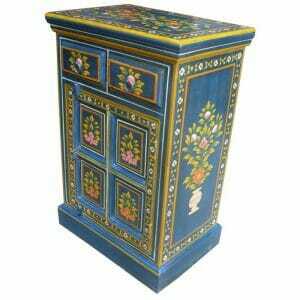 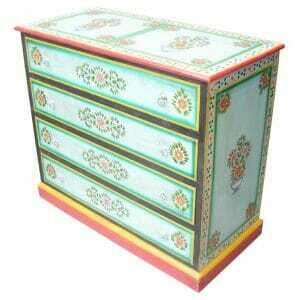 This beautiful vase design Indian cupboard is only one of our many hand-painted pieces that we offer. 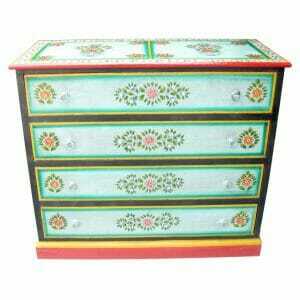 We are also happy to take custom orders if you would like this or another of our pieces in a specific size or style. 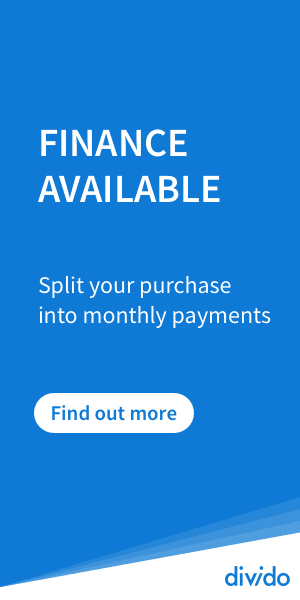 Simply contact us with your requirements and we will quickly get back to you with a free quote. 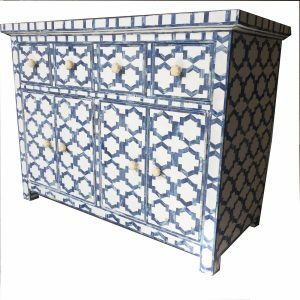 Our ethical standards are one of our highest priorities, and we go out of our way to ensure that all of our craftsmen and suppliers get an excellent deal. 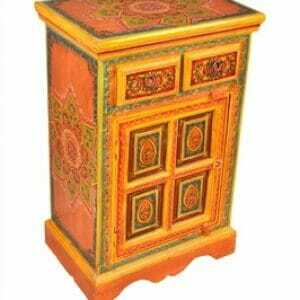 By overseeing the production of our furniture in person in Rajasthan, we are also able to ensure that our furniture is always crafted to a high standard, ensuring that every item is one that we can be proud of.